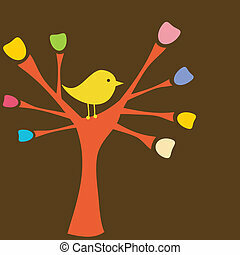 Bird on tree branch. 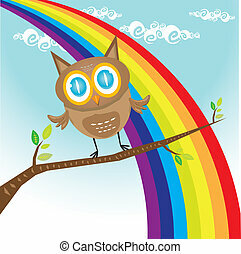 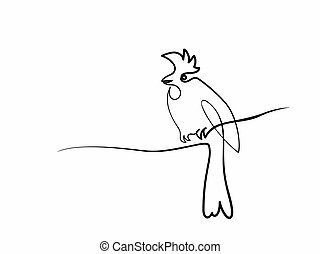 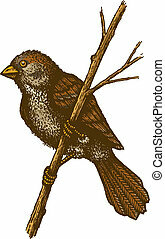 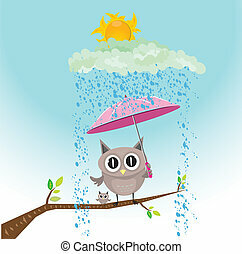 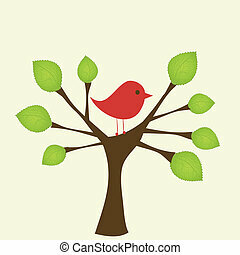 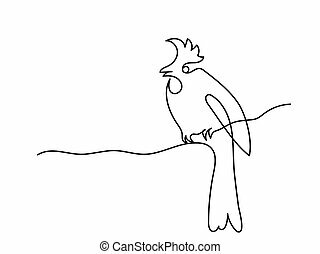 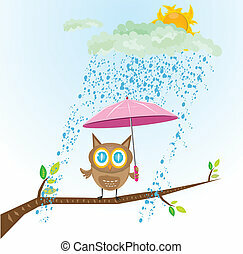 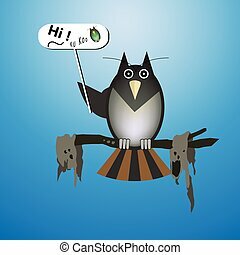 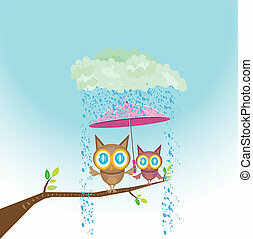 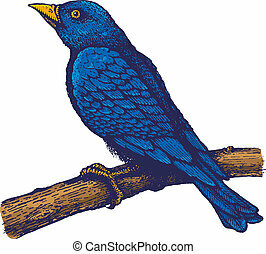 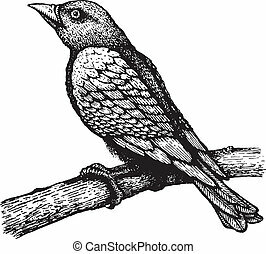 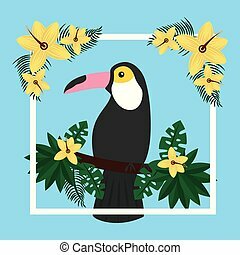 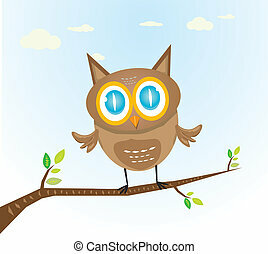 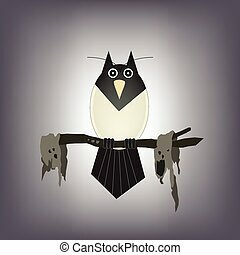 Illustration of a bird on a tree branch. 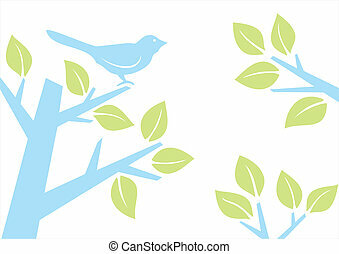 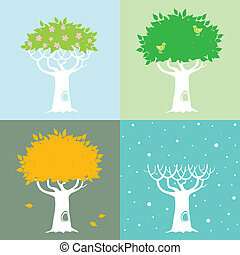 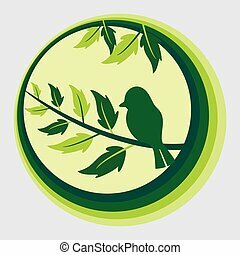 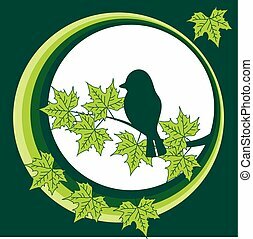 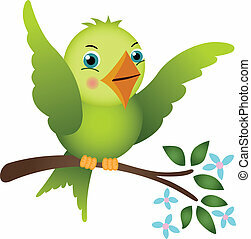 Scalable vectorial image representing a green bird on tree branch, isolated on white. 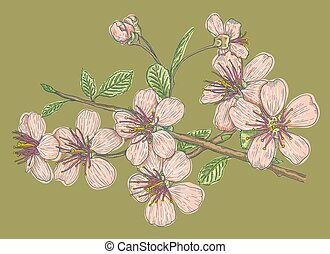 Vintage vector illustration flowers of the cherry blossoms. 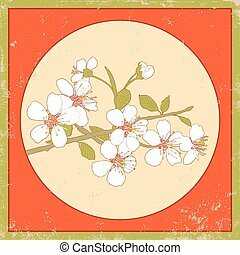 Sakura on pink background. 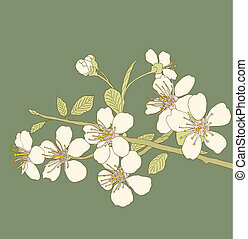 Vintage vector illustration flowers of the cherry blossoms. 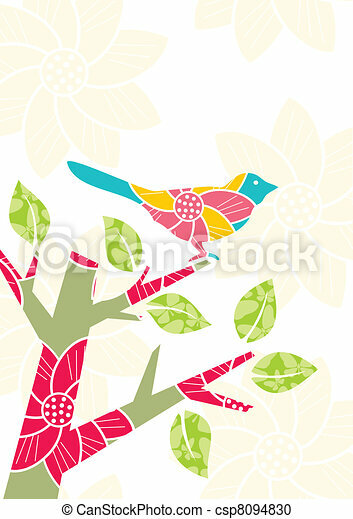 Pink sakura on green background. 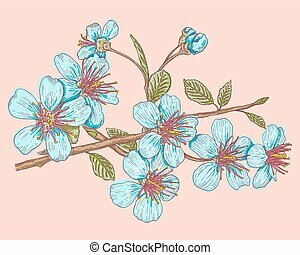 Vintage vector illustration flowers of the cherry blossoms. 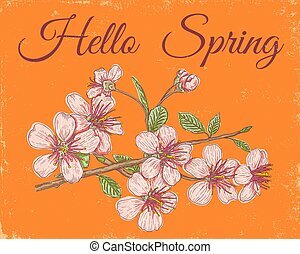 Pink sakura on orange background. 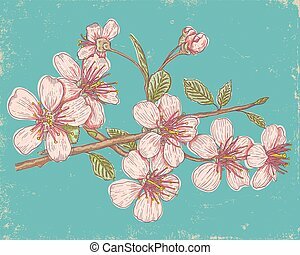 Vintage vector illustration flowers of the cherry blossoms. 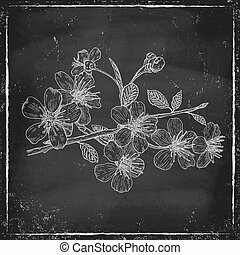 Vintage postcard with sakura. 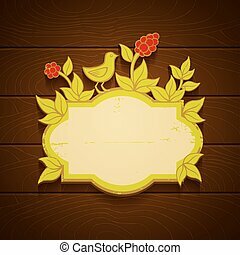 Vintage vector illustration flowers of the cherry blossoms with letters Spring. 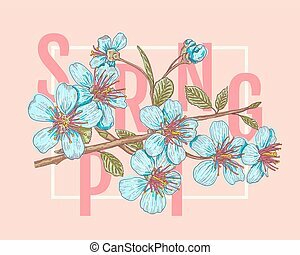 Spring and sakura on pink background.